So my adorable little guy Tavis nipped the mailwoman. No joke. I'm sure I can enter some type of cliche here. Luckily she was wearing jeans. No skin was broken but he did leave a mark. 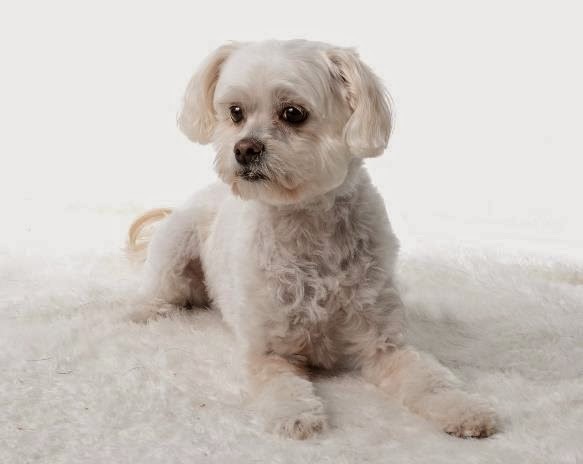 A little side note on Tavis, I found out that he came from a puppy mill and has some health problems, as well as some mental issues. He is really neurotic and nervous. We don't let him near strangers because it makes him worse. Unfortunately we were caught off guard yesterday. After he nipped at the mailwoman he ran downstairs and hid. I felt so bad for her and for Tavis. 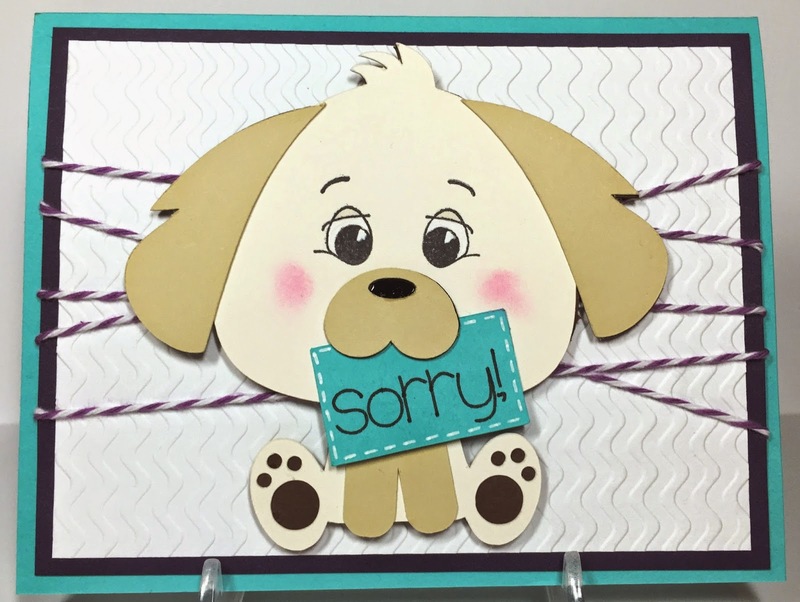 I made a card last night to plead apologies to her. She has been our mailwoman since we lived there, 10+ years. So hopefully this will put us back in her good graces. She was really nice about it yesterday and said she was alright. Fingers crossed. Here is a pic of Tavis. He's not very big and weighs about 15 lbs. Yikes! What an awful situation to be in! 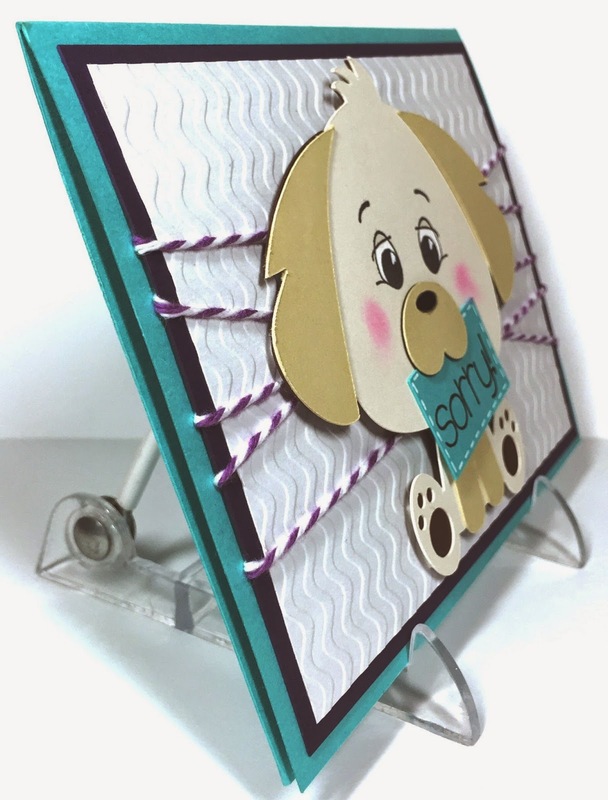 ADORABLE puppy card! !